The difference of Powerextra digital photo frames from other brands is picture quality, easy to use and affordability. 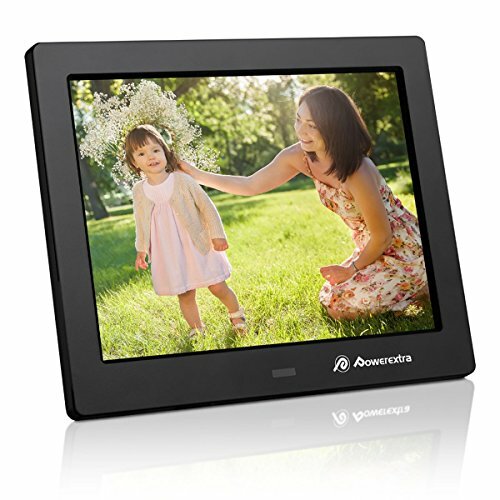 Combined with an easy-to-use remote control, wide format support, and the simplicity of automatic playback, Powerextra digital photo frames are the best choice for playback of your important memories. View hi-resolution pictures, listen to music and watch videos easily on the TFT true color LCD panels at amazing resolutions. With Powerextra's digital photo frames, you can share all your digital pictures, videos, and music files with family, friends, and coworkers. All of your pictures or videos will be noticeably clearer and much crisper than others that have decided to use analog panels as cost-cutting measures. The advantage of utilizing digital panels over analog panels is very similar to the difference in watching HDTV (High Definition Television) instead of standard definition TV. Using the remote, manage the way your photos and videos are displayed. Choose from a variety of photo transitions, change the orientation of your photos and videos and select what photos and videos you want to play. You also can set up the frames playing photo/ music/ video automatically once power on or insert memory card. Display photos from SD cards and USB drives up to 32GB. As many as 10,000 photos can be shown in a continuous slideshow in random or sequential mode. High-definition Screen: The latest in lcd screen technology brings you 1024x768 high-resolution ips (4:3) to display photos (8 inch screen). Easy to use: With no required setup and no software to install. Supports USB drives, SD, SDHC memory cards (up to 32g). Smart Features: Equipped with smart wireless remote control with remote control distance of 3m. With Clock/Calendar/Alarm Clock, Automatic Timer Switch function. Note: The unit does not have a touch screen. There is no built in memory. There is no built in battery. There is no Auto-Rotate function.